Incentive-based zoning? Not in my back yard! Short Term Vacation Rentals (STRV’s) are not the only significant issue that may affect residential property values in La Jolla. 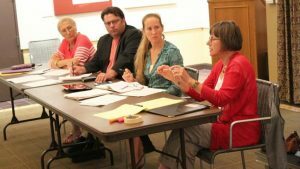 The community should be diligently following a small but well-connected group of La Jolla residents who have formed a new community group called the “Citizens for Responsible Coastal Development” (CRCD). Our community has heard their mantra before; “Mc Mansions”, “mansionization”, “increased bulk & scale”, “out of character with neighborhood” and “reduction in air space/green space”. CRCD was formed in 2015 as an Ad-hoc committee of the La Jolla Community Planning Association (LJCPA), but due to their inability to comply with Brown Act regulations they dissociated and CRCD was formed. Both groups nevertheless, remain resolute to abolish the community’s most affordable and favorite residential remodel approval process the “50% coastal exception rule” and replace it with their own “Incentive-based zoning” approval process. Presently if a homeowner files for a residential remodel, using the affordable and preferred ”50% coastal exception rule”, and maintains 50% of their existing exterior walls the applicant preserves their right to remodel their home to the current .6 Floor Area Ratio (FAR). The homeowner, furthermore, avoids the lengthy, expensive, and subjective LJCPA review process. If the applicant does not maintain 50% of their existing exterior walls the applicant is required to file for a more expensive and time consuming Coastal Development Permit. CRCD’s “Incentive-based zoning” application process would essentially reduce the homeowner’s FAR from .6 to .4 in La Jolla and Bird Rock. In La Jolla Shores, where there currently is no FAR restriction, CRCD’s incentive-based zoning would now apply. The homeowner would then have to conform to CRCD’s impracticable list of design incentives to earn back their right to build their home to the current .6 FAR. Or the applicant could choose to not incorporate CRCD’s design incentives and process their application through the time consuming and expensive Costal Development Permit process. CRCD’s next step is to present their incentive-based zoning proposal to their former parent group the LJCPA. The LJCPA is recognized by the City Council to make land-use recommendations to the City Council, Planning Commission, and City staff specifically concerning the adoption of amendments to our La Jolla and La Jolla Shores Community Plans. CRCD has requested to be placed on the September 7th agenda of the LJCPA and according to an anonymous source the plan will be approved at the meeting. CRCD’s incentive-based plan will first work itself through City staff, then be presented to the City of San Diego Planning Commission, and finally to City Council. As reported in the May 10, 2017 La Jolla Light the CRCD members have already meet with Barbara Bry and she has offered her support to their cause. The approval of CRCD’s incentive-based plan, however is a land-use decision and is considered quasi-judicial, therefore, Bry should have not taken a position for or against CRCD’s plan. Since she has, will she now recuse herself from voting at City Council on this issue? Past actions of some of the CRCD members reveals this is a classic La Jolla battle between the “have and the have nots”. In 2012 the CRCD’s Chair remodeled her home using the community favorite approval process the 50% coastal exception rule that she now is opposing. As reported in the March 4, 2014 La Jolla Light, another CRCD member filed an application for historic designation on her neighbor’s property to prevent or delay the development of three of his four legal lots. It was the neighbors intention all along to file for historical designation on the Cliff May home located on his fourth lot. Our community must remain vigilant to protect our property rights! Click “here” and sign the petition telling Barbara Bry and the other City Council members “Incentive-based zoning…NIMBY”! !